NBC has picked up the US rights to make a local version of The Chopping Block. The Channel Nine reality show was created by David Barbour and Julian Cress (The Block), both of whom worked for David Gyngell when he was running Granada America. Most curiously, there are a number of key changes for the NBC format that differ from the version currently screening in Oz. Firstly, the series has a through-line, rather than the self-contained episodes (this was a strong feature of The Block). Eight couples will be split into two teams, with each team assigned side-by-side restaurant spaces in Manhattan. Rather than see restaurants compete for a mere $20,000 each week, teams of couples will fight to run their own restaurant. There will also be weekly eliminations. Yep, it’s 2 parts My Restaurant Rules and 1 dash Chopping Block. The show will retain food critics who render a verdict the next morning. There will also be a panel of judges. 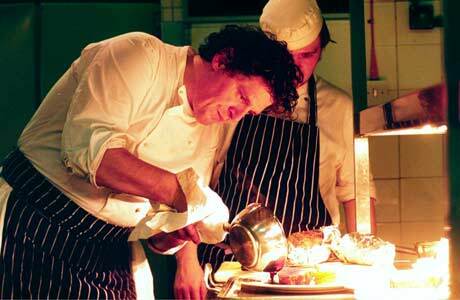 The US version will feature chef Marco Pierre White, cited as one of Gordon Ramsay’s mentors. He even replaced Ramsay on Hell’s Kitchen. NBC reality chief Craig Plestis said snagging White was key because the chef gives the show “credibility times 25,” as well as the larger-than-life personality so vital in reality TV. “He’s the original rock-and-roll chef,” he said. “Food is his life, the core of his being. He won’t accept second best from these contestants. And he made Gordon Ramsay cry, so he’s going to make some of our people cry, too, I’m sure. So will contestants out right own there place if they win? And will they receive any on going support?? Nice to see the yanks copying our ideas for a change! The Chopping Block is a great show and should do well in the US even with the changes.